It’s Tuesday! 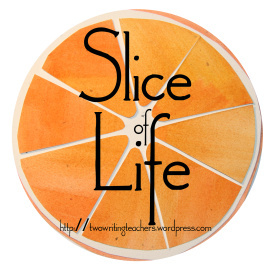 Time for a Slice of Life with Two Writing Teachers. Thanks to Anna, Beth, Betsy, Dana, Stacey, and Tara. You can find more slices here. Life is interesting. I have these ideas, theories, plans. I paint this picture in my head, and then reality gets involved. At first glance today was disappointing. But then I thought about it. Students are writing letters on Bring Your Own Device to school. They have changed their positions pro and con, back and forth. The more they know and the more they write, the more their ideas morph and grow beyond their initial response. It’s been hard to work through this thinking, this writing. They aren’t loving every minute of it. That’s the part that doesn’t fit the picture in my head. But I’m proud of their process, their writing and their opinions. They are thinking beyond themselves and that’s hard. In our social issues reading unit we’ve been talking about power; who has it and why. Students have said people have power over others because of strength, money, will, leadership, race, kindness, love, bullying, laws, judges, intelligence. I find it so interesting they include kindness and love right alongside bullying and money. Not what I expected. Today we got to the part in The One and Only Ivan where the news media has become aware of Ivan and Ruby’s situation. Ivan, the powerless and caged, has become a bit of a celebrity and my students can see the power is shifting towards him. I’m wondering if they are making the connection as to why it’s shifting. Do they see him as a disenfranchised letter writer, causing change. Do they see the power of the written word? Put this all together with a side project, sort of an adjunct to our social issues work, an investigation of kindness. Groups developed questions using the Question Focus Technique. Each group choose their top three questions on the topic of kindness. Then they voted on questions they most wanted to investigate. Each class came up with three questions. Why should we be kind if someone isn’t kind to us? 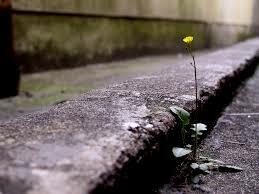 How can you be kind in difficult situations? How can you find kindness in your heart? Does choosing kind make you a better person? These questions say so much about what students see around them and why they don’t always choose kind. They point directly at why kindness is such a challenge. Kindness is easily overwhelmed. Literature is an obvious place to find kindness; choosing to show us kind. Perhaps writing gives us space to find the kindness. To think before we react to what seems to be an assault on our person. To give kind, to find justice. it isn’t fair that just 5th graders have iPads. All grades should be blogging. That’s why I believe we should be able to bring our own devices to school. In the picture in my head I see students coming to understand the need for social justice. They’d speak out on the behalf of the weak, reach out and be kind even when others aren’t kind to them. Students can be selfish. They get their feelings hurt and strike back. But then they reflect and come up with some startling ideas that make me realize there’s a lot more underneath. I don’t think it hurts anyone to reflect on kindness and how best to share it with others. I am like you I get ideas in my head Of I thnk it will go and sometimes notice that it just doesn’t turn out how you picture it…in this case with the surprises are worth the effort. It sounds like you are really reaching deep levels of thinking and response from your kiddos! Kudos to you! Your post is an inspiration! It reminds me to push myself and my students to REALLY explore issues in the world and in books. It reminds me to push myself and my students to REALLY think and discuss. I TELL them that “writing can change the world”. 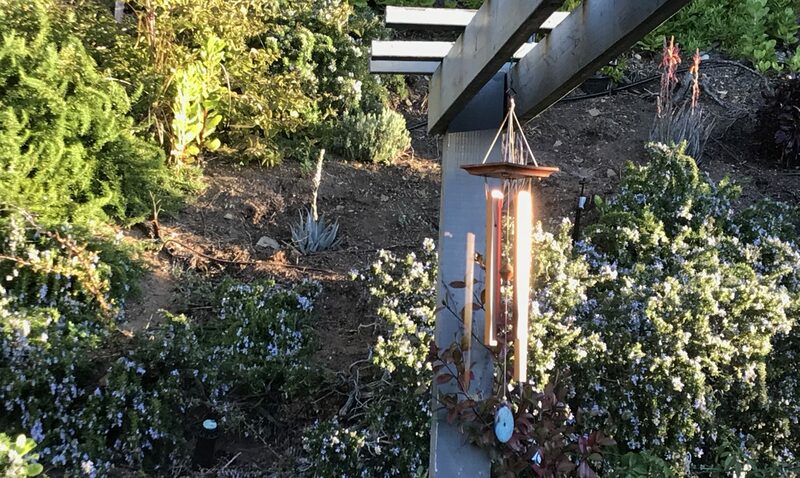 Your post reminds me to not just be TALK …be action! I’m printing your post to remind me to be MORE like YOU. Thanks for the inspiration. I need a push! The time you’ve taken with your students is so wise. The time to reflect, struggle, and then take action is the important work that we do everyday. Thanks for sharing a view into your students’ world! I see the way you plan for and carry out these wise and rich forays into all aspects of learning, Julieanne, and I am in awe. I love this insight, “Students can be selfish. They get their feelings hurt and strike back. But then they reflect and come up with some startling ideas that make me realize there’s a lot more underneath.” In that case, I, too, am a lifelong student, selfish and sensitive and reactive, until I stop to reflect, reconsider, and reframe, and eventually reconstruct. QFT sounds very cool–I’m going to have to look more into it. QFT is cool. Check out Make One Small Change. That’s the book that helped me understand it. The Right Question Institute are the folk behind it! When I read Tara’s post realized we were in that same uncomfortable place. I love how there was a contrast & contradiction in this. I didn’t name or think that as I wrote this. That’s just human I guess. Rich discussions going on in your class. Your students came up with a significant list of questions. A lot to ponder and reflect about. Hee, hee! I’d love Isabelle. That geographic thing is a bit of a barrier though! I attended a workshop once and the leader encouraged (and challenged) us teachers to not place our “take away” upon students, but instead to stay tight lipped and see where students go with it because it is often different than where we think they’ll go. I think it awesome that you are listening to your students’ voices even though it may different than you intended. Great post! Yes! Keeping my mouth shut is difficult!! I so want to say things that I’m thinking. I’ve found they (students) help me see more from their comments even when they don’t get the full take away I do! There a lot of different ideas here, and I can see your classroom is a busy place! I hope your students are able to connect the dots and begin to find their voice in the huge arena of social justice. Sometimes there is so much going on I wonder what comes together in their consciousness. Fascinating stuff! I am hoping you are putting this away in your NCTE folder. This is amazing and powerful thinking and teaching. It is hard, but some of the best ideas are. Carry on! Every week I love reading your thoughts, Julieanne, and seeing your examples, I believe that your thought-filled ways of teaching shows up in the actions of your students. (They) “come up with some startling ideas that make me realize there’s a lot more underneath.” Thanks for a great slice. Every time I read what’s happening in your class, I am in awe of the thinking your students engage in because of your guidance/instruction. Some great work happening here. Love the layers of learning in your classroom –the way you wrote this allows the reader to experience both the layers of teaching and learning for the students. Ending with the layers of student kindness you didn’t expect truly was a close in ending. Beautifully written! I love the questions your students developed around kindness. I’m so curious what they will think of as they explore those questions. Your blog first introduced me to QFT which I’ve used a few times now with great results. I don’t always know what I want students to do with the questions they generate, though. I’m reading Make One Small Change right now and hoping to get more ideas. And if you’d like to consider taking your teaching on the road, may I suggest South Dakota?? We do have some lovely wide open spaces!